Highlighting some of my work from my days as freelance woodworker, historic furniture restorer/repairperson and shop programs manager. Parameters: design and build a mobile nitro cold-brew coffee cart for the Coffee Fox cafe in Savannah, GA. Needs to have an insulated chest for kegs of cold brew, a nitrogen tank, and biodegradable cups. The countertop area needs to fit both a bar top with tap area, a tablet POS system, and space for customers to mix cream and sugar in with their coffee. After moving into a 1200-sqft space in midtown Savannah, I needed to convert it to a functional live/work space. 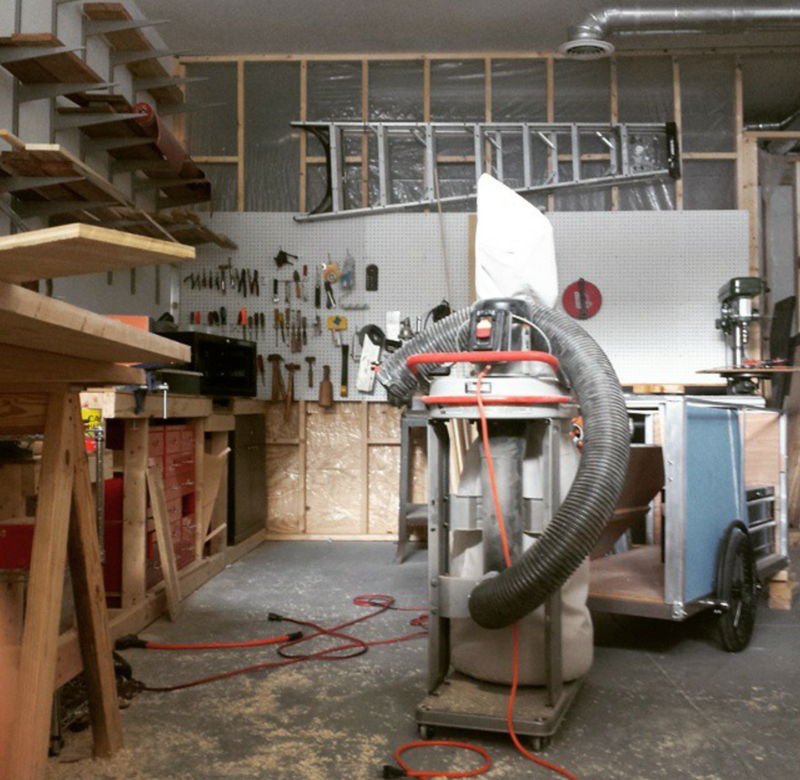 As program manager for New Standard Cycles, we needed to create a functional workspace where folks could wrench on bikes while making minimal changes to the shop space. I also designed and fabricated a mobile bike repair trailer to service clients' bikes at off-site locations and to tune commuters' bikes at public events also offering bike valet services. 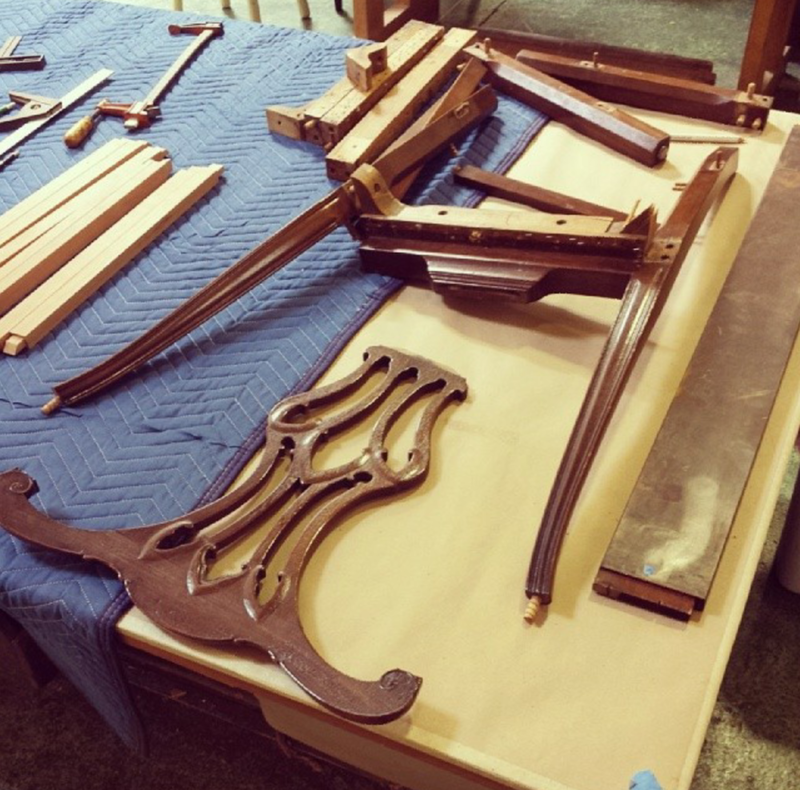 While employed at Guenther Wood Group, I repaired and replaced structural elements of furniture according to correct historic practices. After Savannah passed an ordinance allowing food trucks in their downtown area in 2016, a cafe owner in Savannah approached me about converting a '57 Airstream Flying Cloud to a fully-functional coffee trailer.